What Is Dock Diving Or Dock Jumping For Dogs? 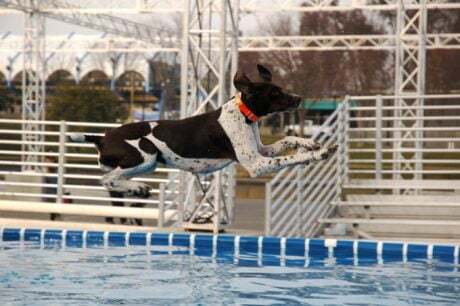 Dock jumping, also known as dock diving, is a sporting competition in which dogs compete at either distance or height jumping from a raised platform, usually known as a dock, into water. And it's not just for professionals! 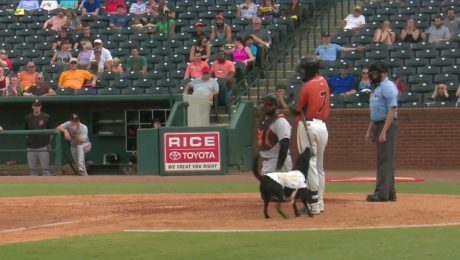 Miss Lou Lou Gehrig, the bat dog of the Greensboro Grasshoppers, tried to take a player's bat right out of his hands after he faked her out.